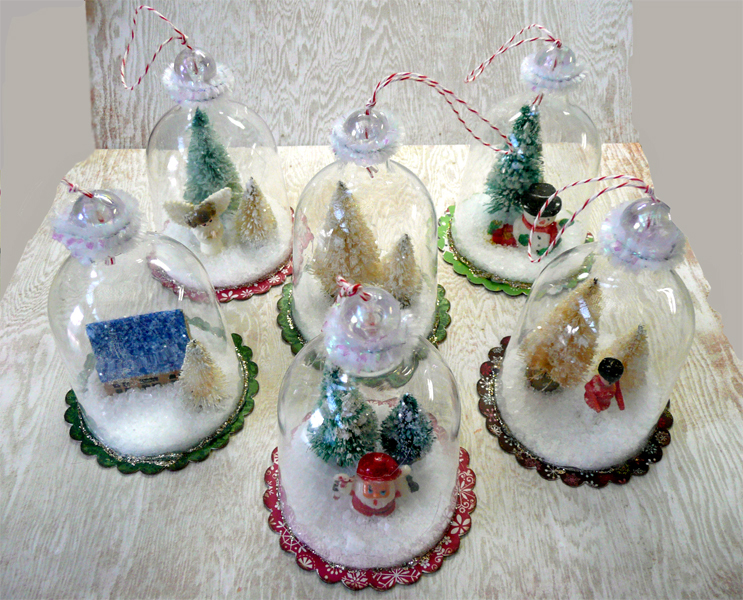 These days I've been a busy elf creating ornaments and decorations in my "workshop." 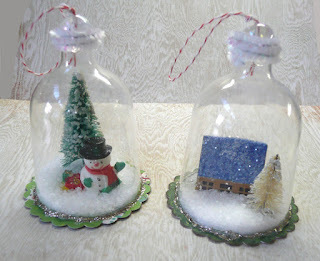 I was catching up on my friend Cerri's Blog the other day and came across some darling snow globe ornaments she made from a tutorial she found on Ashlee's Blog. 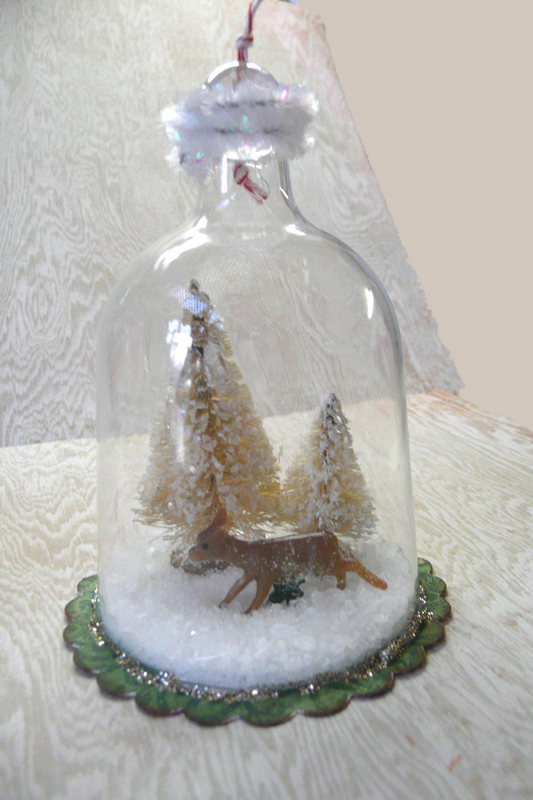 I have a thing for snow globes and cloches and just about anything you can put under glass. There is just something about these miniature scenes that has always fascinated me. So I couldn't resist making my own collection of these ornaments. I used vintage elements and bottle brush trees that I've collected from flea markets and resale shops to create the ornaments. Well, I think I hear Santa calling so I'd better get back to work! 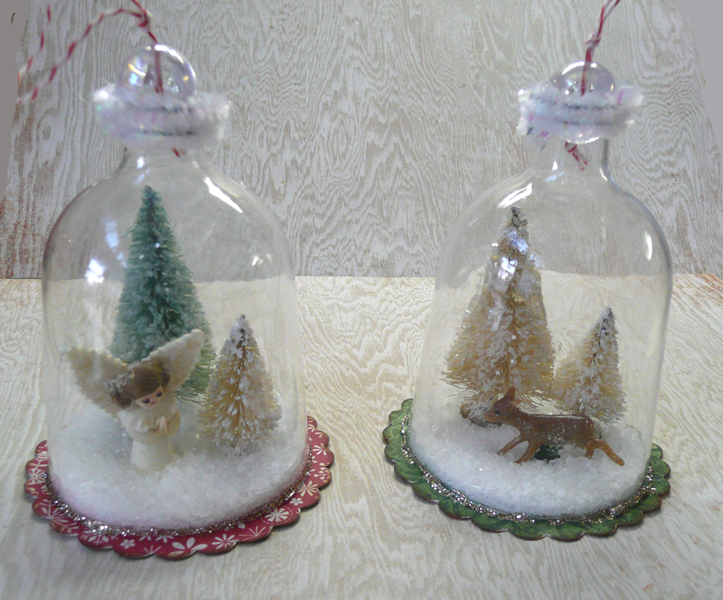 Jeanne, your snow globe ornaments turned out so sweet! I love them. I made a few more with my niece last weekend and will have to post them. I think I like those better than the previous ones we made. Ha. Happy Merry Making, sweet friend. My friend Kim made a bunch too.. they are adorable! I just may have to search for a few tinys and make a couple of my own! 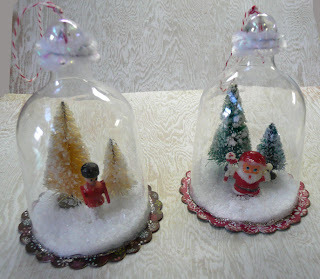 I too am a snow globe fancier and yours are so so precious...each one is a treasure Jeanne! Fun stopping by for a visit you have so much to enjoy! Thank you also for sharing the fab links!